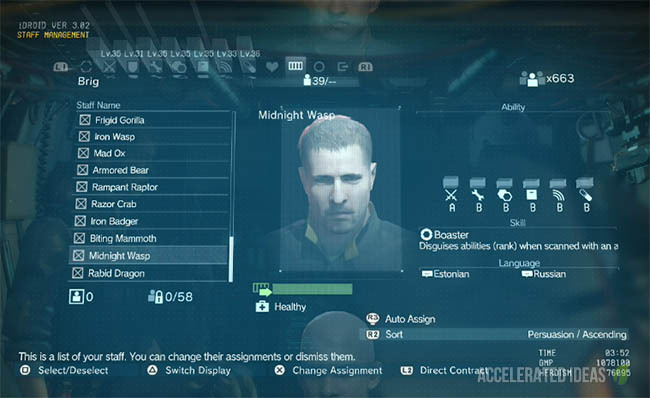 Another of the obscure menu options in The Phantom Pain is for the D-Walker buddy. 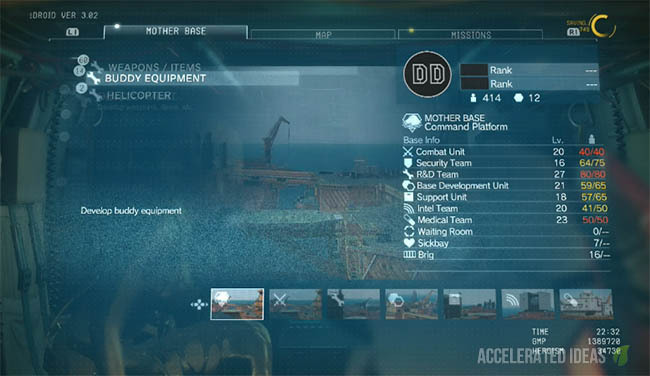 This hidden screen allows you to customize each of the three loadouts thus arming the mech with new weapons and gear ready to deploy out in the field. 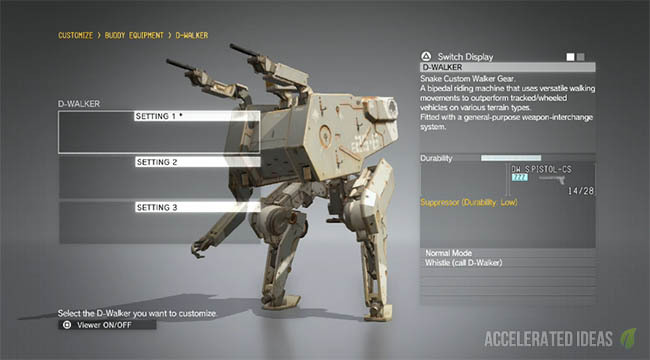 The creators of MGS 5 decided to make the mech different to other buddies in the game. It's the only buddy which has pre-selectable loadouts rather than allowing you to switch weapons in game. 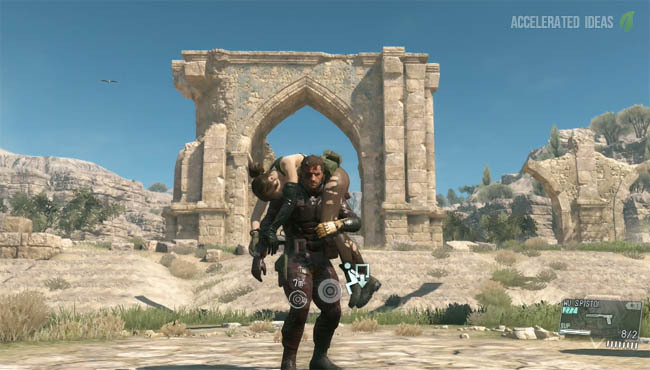 For example, when you're using Quiet you can drop in a direct weapon replacement but you can't do this with D-Walker. Presumably this is simply because D-Walker is a mech and so it's attachments are welded directly to the chassis; thus requiring a complete chassis drop rather than a hot swap. If you choose to keep the default setting then you're missing out on some of the awesome features that D-Walker has to offer. With three loadouts available, you can easily create a strong mini-gun walker, a close range flamethrower walker and an anti-air walker to take out gunships. In order to customise D-Walker you can't use the Buddy selection screen which appears just before a mission starts (from here you can only select one of the three settings) nor can you use the Buddy deployment screen in-game. Now you can highlight one of the SETTINGS and change everything from Chassis, Main Weapon, Sub Weapon, Head Section, Manipulator and the colour. New weapons and equipment for D-Walker are still unlocked under the Development section along with all the other weapons and gear. The image above shows my D-Walker fully customized with a red paint job, sporting the unlocked flamethrower weapon as the primary. The weapon has a short range but will instantly kill soldiers and ignite barrels. Burning soldiers make a hell of alot of noise though so it's not something you would choose for stealth awards.